I spent far too much time today following The Open Championship (or British Open golf), but with 3 or 4 Aussies in the top 10 all day it was compelling! Australians have a lot of golf stories. Most of them are near misses. Overall, Norman posted three runner-up finishes at the Masters and finished second at the U.S. Open and PGA Championship two times each. In the 1970's, Bruce Crampton came second in major championships 4 times. Jack Nicklaus won each of those tournaments. Then there are other occasions when an Australian has held the lead going into the final day's play, only to sink down the leaderboard as the day progressed. Most notably, Adam Scott at the 2012 British Open and Greg Norman at the 1996 Masters. Leishman shoots 6 under but loses a playoff. Day shoots 2 under and misses a playoff by one shot. Scott shoots 1 under, finishing in a tie for 10th. My role as a church leader is much like the experience of coaching athletes. I can lay out an individualised training schedule, we can collaborate to come up with a game plan for life, but if the individual doesn't carry it out then they never reach their full potential in God's kingdom. So I thought today I'd look for some spiritual advise for Christians who find themselves in the same situation as these guys in the Open Championship. Spiritual Leishman: Many Christians will connect with Marc's story. Earlier this year his wife was so sick she spent four days in an induced coma and doctors gave her a less that 5% chance of surviving. 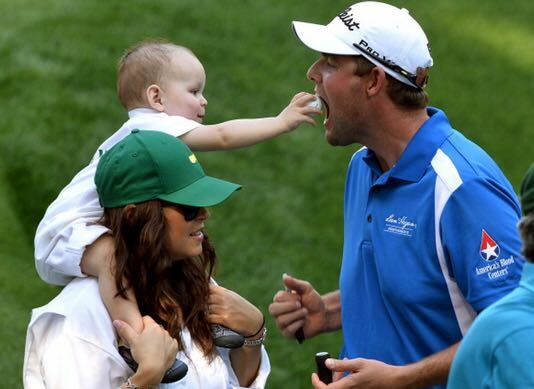 The prospect of losing his wife and giving up his sport to care for his two young sons has given Leishman a new perspective on life and golf, "'I feel like even if I do have a bad day I can still go home and, hopefully, give her a hug and cuddle my boys. For a while it didn't look like I was going to be able to do that.'" Many Christians have scares and hurts in life that can either drag us down or spur us on. What often makes the difference is our perspective. Will our failures devastate and immobilise us? Abraham reminds us that a Christian perspective never puts too much stock in the here and now. We're living for a more important goal. 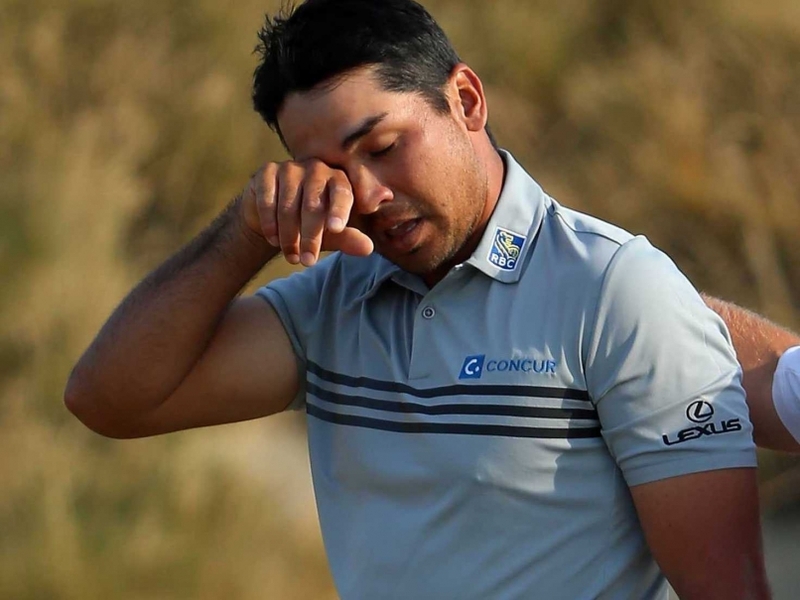 Spiritual Day: Since 2010 Jason Day has nine top 10 finishes in majors without winning any! He obviously has the talent to compete with the best golfers in the world but always seems to fall just short of victory. Is it a mental thing? Is it nerves? Is it inexperience? Day also has significant health problems and finished 4th at this years US Open despite obviously battling vertigo on the course. I know people who struggle like this. Despite having the necessary skills and determination, in the decisive moment they find themselves giving in to temptation. Failing to live up to their (and God's) expectations. They persist, trusting God for ultimate victory, but in the meantime their failures frustrate them. The apostle Paul reflects this experience in his writing. 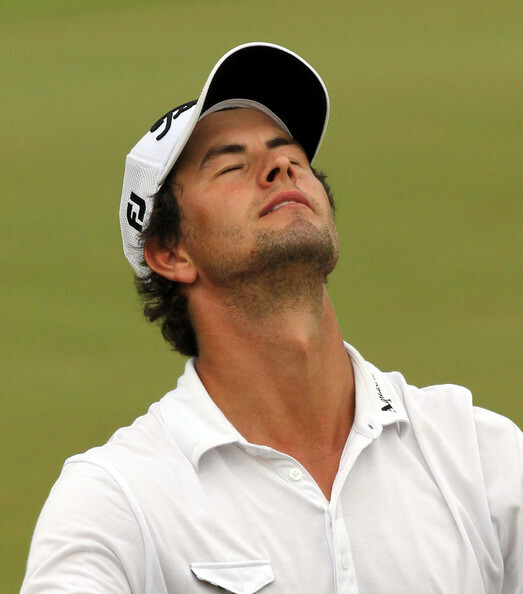 Spiritual Scott: In 2013 Australia anointed Adam Scott a national hero after he became the first Australian to win the Masters. On May 19, 2014, Scott took over as the World's #1 ranked golfer. Scott held the number one ranking for eleven weeks until August 2014. 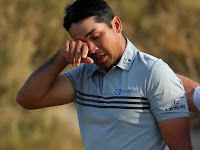 But mixed in with all this success have been some gut wrenching performances at the majors. Since 2012 Scott has finished 2nd, 3rd, 5th, and 10th at the Open Championship. At least in 2012 and 2015 he's been in contention for the win until a string of bogeys in the final round ruined his chances. Scott's majors record reminds me of David. He knew the wonders of intimacy with God yet he also experienced some massive setbacks with sin. Some of David's sins were public and resulted in people losing their lives! Here's what he learned. Despite all his success he still needed God's mercy to sustain him. It's easy for us to become overconfident in our gifts and abilities, so failures can really devastate us unless we're willing to acknowledge our dependence upon God. Even in his lowest points he recognised that God could re-create him and in time use him to inspire others in their walk with God. This turned into quite a long post, but I hope you pick up the point that as we mentor people in the way of Christ, they go through the same human ups and downs that we all do. Often it's easier to think about athletes "They'll do better next time," than to have the same optimism about people we know well. Just as we don't expect the coaches of these players to give up on them because they didn't win this weekend, it's important for us to persist investing in those we lead.